For most websites, whether B2B or B2C, the Frequently Asked Questions (FAQ) page is merely a spot on the site where the business answers basic questions visitors have about their services. a powerful marketing opportunity is lost. 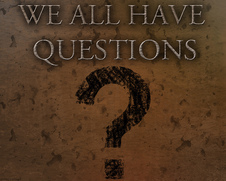 When a website visitor clicks on the FAQ page, he or she wants answers to a specific question. It might be a question about pricing, shipping or how to cancel a subscription. As a business and a brand, it is your job to answer these questions clearly. However, simple “yes” or “no” answers with generic statements may not entice a reader to engage or buy. For example: let’s say a visitor to your wholesale printer website wants to know if you offer free shipping. If you answered “yes” on your FAQ page, that’s enough to give the visitor what they were looking for, not enough to encourage them to buy. Using the example above, yes, you do need to directly answer the question. But on top of that, consider a CTA after your, “yes, we do offer free shipping on purchases over $500”. Why? Because a strong CTA may prevent the reader from shopping other printer wholesalers. If you only give the reader a generic answer and don’t encourage them to buy, they might look elsewhere to compare. If you hook the visitor with a CTA such as “order now and receive free shipping to all 50 states – limited time offer”, you might keep readers on your site and convince them to make an immediate purchase. A good CTA creates a sense of urgency (i.e. “only available this week”). Now you’ve answered the customer’s question and encouraged them to buy. Can’t decide which questions to ask on your FAQ page? Simple. Ask the top questions you’ve been getting from your customers or sales and support staff. On my FAQ page I made sure each question served a purpose, which was to answer questions I know prospective buyers have about my services in the beginning stages of inquiry and engagement. As a B2B marketing consultant, I find that businesses that sell to other businesses often forget that potential customers aren’t always experts in their specific field. I couldn’t tell you the first thing about how to find the best car insurance for a Lexus owner. But I could tell you all about B2B marketing communications or just about any B2B marketing principle. Costs: List specific prices so they know what they’re going to have to pay, and if applicable, link them to other pages that give more detail. Shipping: If you’re selling a physical product that must be shipped, include shipping prices along with information about how the products will be shipped (i.e. FedEx, US Mail, etc.) and the time it will take. General company info: Portray your company as a B2B or B2C leader. Give readers some basic info about your company that you know will build trust such as experience, key employee bios, location, contact information, etc. Benefits: Customers need to know WHY they should buy from you. Even though answers to the above questions lie in your main content pages, people may jump to the FAQ page for a quick overview, so use it to break down barriers and to tell your brand story in a direct way. Use the FAQ page as a branding opportunity. Many businesses miss out on optimizing the FAQ page from a strategic marketing communications standpoint and they lose out on sales as a result. Sort by categories so that it’s easy for the reader to find a specific question (general, pricing, shipping, policies, support, etc.). Think back to all the questions you’ve been asked by customers and your sales staff. Write them down, answer them and don’t forget a few strong call-to-action’s, some compelling images and direct links to pages on your website (for SEO and sales purposes).